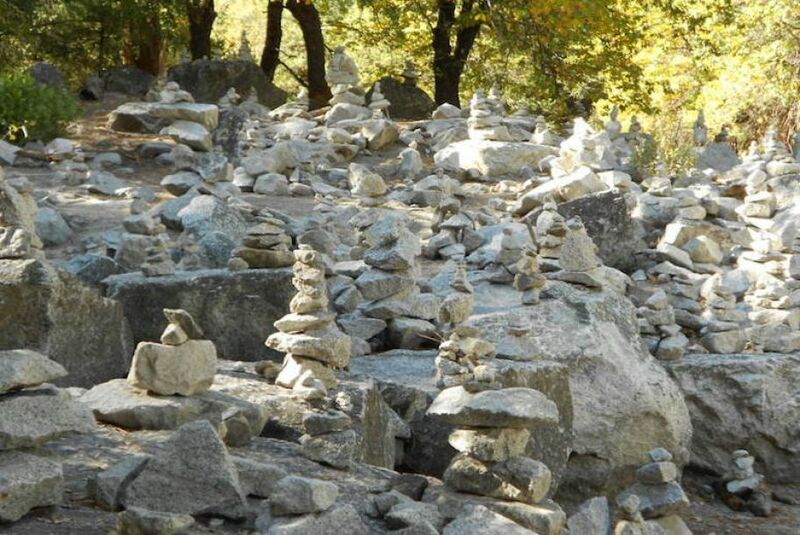 I enjoy seeing some stone balance creations like the one above by Tim Anderson of Keystone Balance. I also believe it has become so popular that we are altering and harming environments in the name of free expression. I’d like to see stone balancing done with a sense of environmental sensitivity ala “leaving no trace” for hikers and campers in wilderness environments. From an aesthetic perspective, I enjoy seeing one or two stacks, but not whole fields of them like in the photo above. What do you think? Is stone balancing an art or public nuisance? Really, the answer is more complex. It can be art, and it can be a nuisance, or both, or neither depending on the care, scale, context, etc. May we balance our need for creative expression with the greater need of caring for the planet. Thanks for understanding the need for balance Janet. These creations are beautiful but often disruptive to the local environment in soil and stream. Thank you Diana. I’m glad you and your family could share in the joy of co-creation. Thanks for sharing your perspective. They are beautiful, and I’m concerned about the larger impacts. the poem is beautiful brad. and you bring up a great question. does a bunch of these rock stacks become nature graffiti? or is it an individual expression of art? it may be about perspective, but i do also feel that when you see a lot it becomes less of an artistic expression and more of a thing people do to just follow what others have done and thought or intention may not be part of that equation, but rather operating on clan mentality of “do as you see done”. that said, i agree with D. Wallace Peach that i much prefer this than graffiti, although wonder how mother nature feels about that. perhaps if people were asking the stones and earth for permission and hearing her message they might be led more to what to do. in some ways it’s sweet to think that each is created by someone from who knows where that has left their presence there in the form of the rocks, but also brings to mind a question of how humans like to “own” everything and need so much to leave their mark behind – for example carving initials in trees and such, or simply turning beautiful land into something for their own idea of progress or ownership, rather than stewardship. definitely an interesting question to ponder that you bring up. Thanks for understanding Tania. I’d rather see kairns than graffiti too, but they do disturb local environments in the soil and water. I love your idea to ask and work with nature rather than simply building another creation without thought to its impact. I agree with you and native cultures who believe humans belong to nature rather than humans owning nature. Thanks for caring so deeply. Leave no trace is my practice while out balancing stones. When I’m finished, nobody knows that I’ve ever been there. Due to their delicate nature, mother earth typically reclaims them within an hour or less. If not I take them down after photographing them. Hi Tim. Thanks for the kind comment. I enjoy your stone balancing and am delighted to hear about your approach. I wish others were as conscientious. Happy balancing. Interesting to learn about the stone stacking, Brad. I haven’t seen that done here in South Africa. Thanks Robbie. I’m glad to hear it hasn’t spread there. Agree. If it damages the environment, that’s a problem. I think humans have found rocks interesting for a very long time, and have put them to sacred use. That’s different, though. Thanks for caring Cynthia. It’s a complicated issue. I collected nearly 700 rocks years ago, and built a stone wall. Farmers’ fields, construction sites, road verges — wherever. They were all of different textures, sizes and shades and I picked each one because it was interesting. I fell in love with rocks then. So did frogs and chipmunks, who found the wall a great ‘hidey-place’. A later owner of that property dismantled the wall and used the rocks to crib the sides of the smaller stream, to stop erosion. I’m loving that rock sculpture. A metaphor for life, perhaps:). Thank you Ka. Yes it’s a beautiful craft and balance of needs. Yes Bel. Originally it was purely functional as markers but has evolved as an art that seems to be getting out of control. A very interesting point Brad – I’ve never actually come across one of these, but I’ve seen examples of landscape art that I think are wonderful. But I can imagine that lots of these would dilute the impact of them as well as altering the environment unnaturally. Thanks for understanding the nuances Andrea. Good question, Brad. I think the first photo shows stone-balancing at its best – not too many stones are taken out of their own balance, to stack them. I don’t like “fields of stones” moved, for sure. A little goes a long way in the message of balance. good grief! I didn’t realize Yellowstone had such a thing. Something beautiful carried too far and seems to have ruined the original idea . I was surprised too Denise and believe it’s gone too far. Well, I’m glad to see you regained your balance after I gave you such a dizzy-making post to read, Brad. Balance is vital. This is lovely. Hugs. I love it! I remember in Arizona…I think it was in Sedona but I could be mistaken…we found a babbling brook that had (I think they called them prayer rocks) balanced all along the brook! It felt good to me to be there and we all worked on our own towering rock sculpture! Hope you are good, Brad! Yes absolutely and may we all learn to live in love and harmony together. Awesome words and flow and balance,Brad. Yes, may we learn to live in love and harmony Kamal. 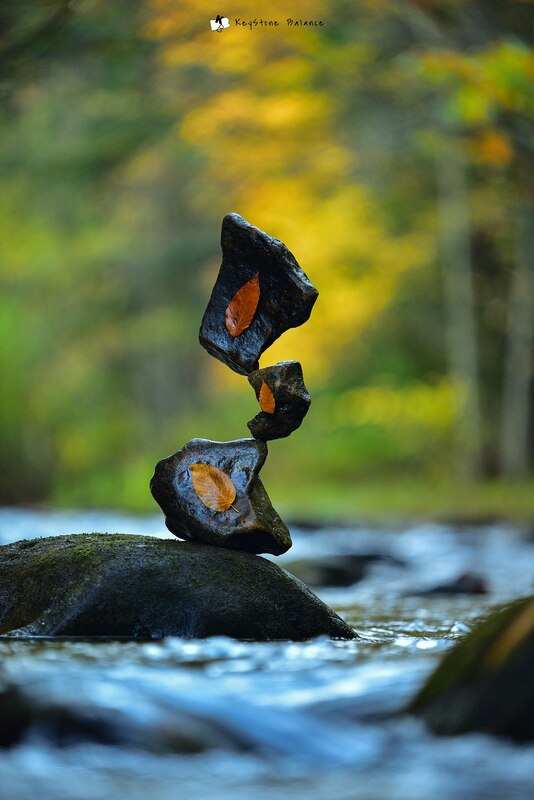 Love the first picture…stunning stone balance….the last picture is what you describe as nuisance. I feel fortunate that I have not come across the last picture in my hiking….. Thanks Kirt. I’m glad you’ve only seen the beautiful ones.